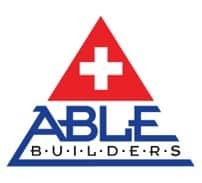 Able Builders, Inc is not only a general contractor, but also a Certified Clearwater Home Inspections Firm. We cannot meet the high demand for next day inspections, so we have partnered with Rock Solid Home Inspections when you need next day service. To assure that our customers receive the best home inspections in Clearwater, Able Builders uses the best inspection team in the Tampa Bay area, Rock Solid Home Inspections. We use Rock Solid Home Inspections for their high standards in inspecting homes and roofs. Rock Solid Home Inspections is a licensed and insured home inspection company in the Tampa Bay Area and performs in-depth inspections (Home Inspections, 4-Point, Roof, and Wind Mitigation) on residential properties to ensure that all of the various structural, mechanical, electrical, and plumbing systems are working adequately. They graduated from the prestigious PHII (Professional Home Inspectors Institute) and are members of the NSHI (National Society of Home Inspectors) and InterNACHI (International Association of Certified Home Inspectors). The company is owned by Rocky and Lennie Swearingen and is a father and son owned company. They have over 20 years of construction and home inspection experience, including over 10 years of mortgage lending experience. Give the team at Rock Solid Home Inspections a call today at 727-408-1088 to learn more about their detailed Home Inspections Services or visit their website HERE.